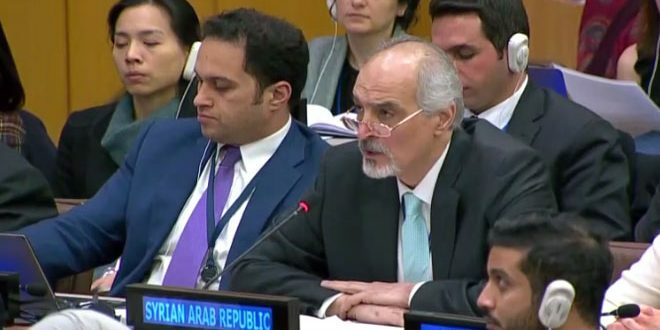 New York, SANA – Syria’s Permanent Representative to the UN, Dr. Bashar al-Jaafari reaffirmed commitment of Syria to consolidate and protect human rights and fundamental freedoms of all Syrians in accordance with the Syrian Constitution and its obligations under the UN Charter and international law, pointing out that Saudi Arabia charged by its operators to submit a draft resolution against Syria is the last to have the right to talk about the human rights, lacking the minimum standards of respecting the UN Charter and principles of the international law. 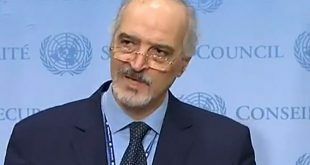 In a speech before the 49th meeting of the Third Committee of the UN General Assembly at its seventy-third session, al-Jaafari said that Syria has actively participated in establishing the Human Rights Council and sought to exclude stigmatization practices and arbitrary accusations on the basis of political motives and today it is sticking more than the past in its firm stance in rejection of the use of human rights mechanisms and the reports of rapporteurs and representatives to target certain states. He continued to say that in this context, the delegation of Syria reaffirms its total rejection of all the provisions of the Saudi draft resolution for a number of reasons such as the fact that the draft resolution translates the state of hostility inherent in the Saudi authorities towards Syria and it also represents a blatant expression of double standards and politicization of the human rights mechanisms by some member states in order to serve their political agendas for targeting the Syrian Arab Republic. 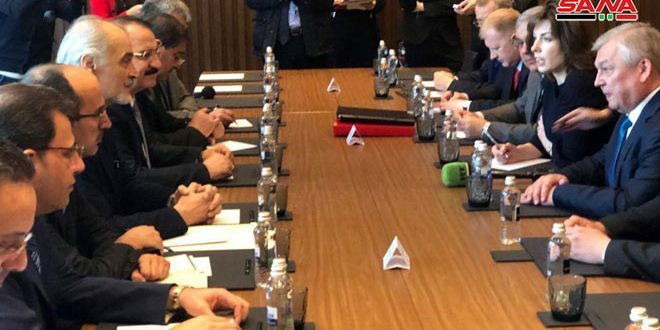 Al-Jaafari clarified that the draft resolution is a continuation of the endeavors seeking to raise the morale of the terrorist organizations and its supporters in light of the achievements fulfilled by the Syrian state and its allies in counterterrorism and in confrontation of its adopters including Saudi Arabia, Israel, Qatar and many sponsors of this draft resolution. 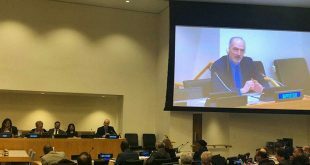 He expressed regret of the deteriorating situation of the United Nations ,clarifying that this state charged by its operators, i.e. Saudi Arabia, is the last to have the right to talk about the human rights as it lacks the lowest standards of respect to the UN Charter, International Law Principles and the Human rights instruments. 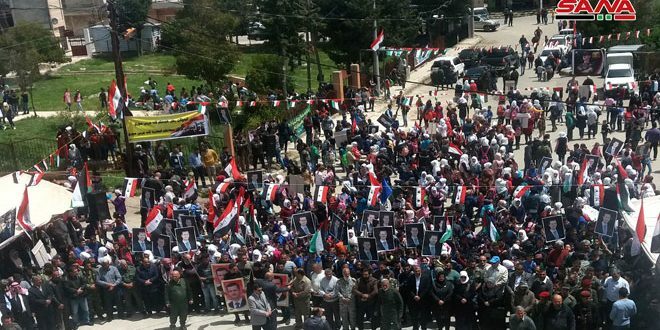 Al-Jaafari pointed out that Saudi Arabia is not a part in the international covenant on civil and political rights while Syria is part of it since 1969, which is proved by the daily exercises of the Saudi authorities. 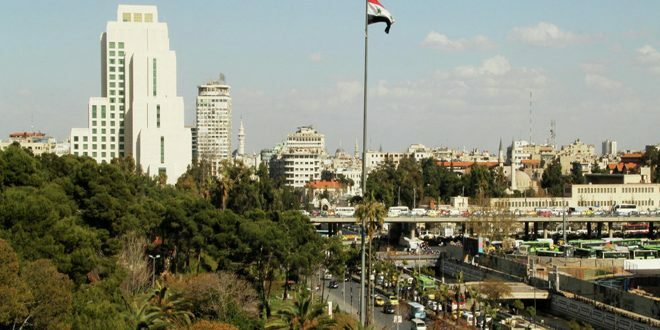 The Senior Diplomat clarified that the crimes of the Saudi authorities are not only limited to their own nationals rather they expand to threaten the international peace and security though supporting all forms of terrorisms including the terrorist organizations in Syria, as well as its spreading of the Wahhabist ideology and excluding the other and humiliating the human dignity, especially women. He continued to say that it is really ironic that the Saudi delegation rejected including provisions on freedom of journalism and the protection of journalists in the draft resolutions on the right of freedom of expression and opinion freedom, while at the same time it included a paragraph about protecting journalists in Syria in this resolution. 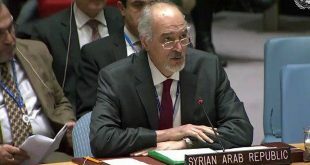 Al-Jaafari concluded that on the basis of the given reasons, the Syrian delegation calls for making a recorded vote on the draft resolution as it called upon the member states to vote against it or at least not to participate in the vote…”I also call for considering this statement as an official document of this session’s documents,” he continued to say.